IceCube Collaboration/Google Earth: PGC/NASA U.S. Geological Survy Data SIO,NOAA, U.S. Navy, NGA, GEBCO Landsat/Copernicus. 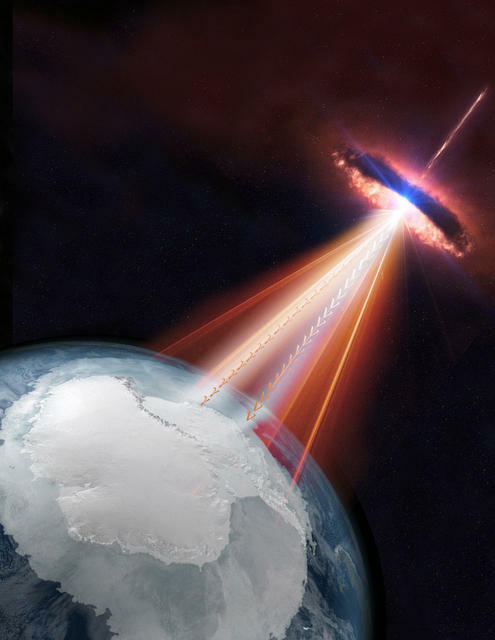 Identification of cosmic-ray source by IceCube Neutrino Observatory depends on global collaboration. Four billion years ago—before the first life had developed on Earth—a massive black hole shot out a proton at nearly the speed of light. Fast forward—way forward—to 45.5 million years ago. At that time, the Antarctic continent had started collecting an ice sheet. Eventually Antarctica would capture 61 percent of the fresh water on Earth. 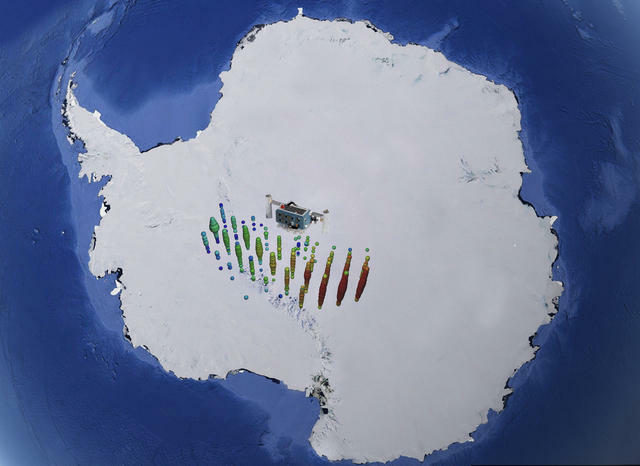 Thanks to XSEDE resources and help from XSEDE Extended Collaborative Support Service (ECSS) experts, scientists running the IceCube Neutrino Observatory in Antarctica and their international partners have taken advantage of those events to answer a hundred-year-old scientific mystery: Where do cosmic rays come from? First identified in 1912, cosmic rays have puzzled scientists. The higher in the atmosphere you go, the more of them you can measure. The Earth’s thin shell of air, scientists came to realize, was protecting us from potentially harmful radiation that filled space. Most cosmic ray particles consist of a single proton. That’s the smallest positively charged particle of normal matter. Cosmic ray particles are ridiculously powerful. Gonzalo Merino, computing facilities manager for the Wisconsin IceCube Particle Astrophysics Center at the University of Wisconsin-Madison (UW), compares the force of a proton accelerated by the LHC, the world’s largest atom-smasher, as similar to the force of a mosquito flying into a person. By comparison, the “Oh-My-God” cosmic ray particle detected by the University of Utah in 1991 hit with the force of a baseball flying at 58 miles per hour. Because cosmic-ray particles are electrically charged, they would be pushed and pulled by every magnetic field they encounter along the way. Cosmic rays would not travel in a straight line, particularly if they came from some powerful object far away in the Universe. You can’t figure out where they originated from by their direction when they hit Earth. Particle-physics theorists came to the rescue. Neutrinos respond to gravity and to what’s known as the weak subatomic force, like most matter. But they aren’t affected by the electromagnetic forces that send cosmic rays on a drunkard’s walk. Scientists realized that the intense showers of protons at the source of cosmic rays had to be hitting matter nearby, producing neutrinos that can be tracked back to their source. But if the matter that makes up your instrument can’t interact with an incoming neutrino, how are you going to detect it? The answer lay in making the detector big. 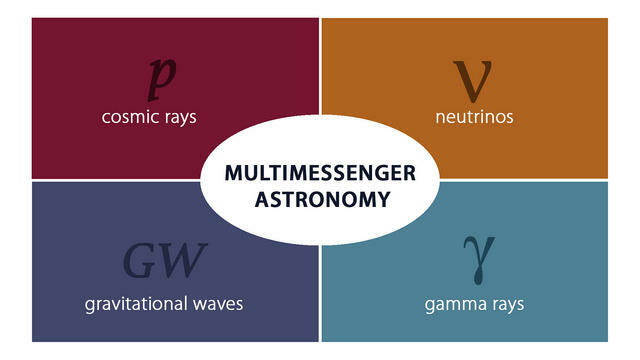 Multimessenger astronomy combines information from different cosmic messenger—cosmic rays, neutrinos, gamma rays, and gravitational waves—to learn about the distant and extreme universe. Courtesy IceCube Collaboration. Enter the Antarctic ice shelf. The ice here is nearly pure water and could be used as a detector. From 2005 through 2010, a UW-led team created the IceCube Neutrino Observatory by drilling 86 holes deep in the ice, re-freezing detectors in the holes. Their new detector consisted of 5,160 detectors suspended in a huge ice cube six-tenths of a mile on each side. The IceCube scientists weren’t quite ready to detect cosmic-ray-associated neutrinos yet. While the IceCube observatory was nearly pure water, it wasn’t completely pure. As a natural formation, its transparency might differ a bit from spot to spot, which could affect detection. “Progress in understanding the precise optical properties of the ice leads to increasing complexity in simulating the propagation of photons in the instrument and to a better overall performance of the detector,” says Francis Halzen, a UW professor of physics and the lead scientist for the IceCube Neutrino Observatory. The collaborators simulated the effects of neutrinos hitting the ice using traditional supercomputers containing standard central processing units (CPUs). They realized, though, that portions of their computations would instead work faster on graphics-processing units (GPUs), invented to improve video-game animation. 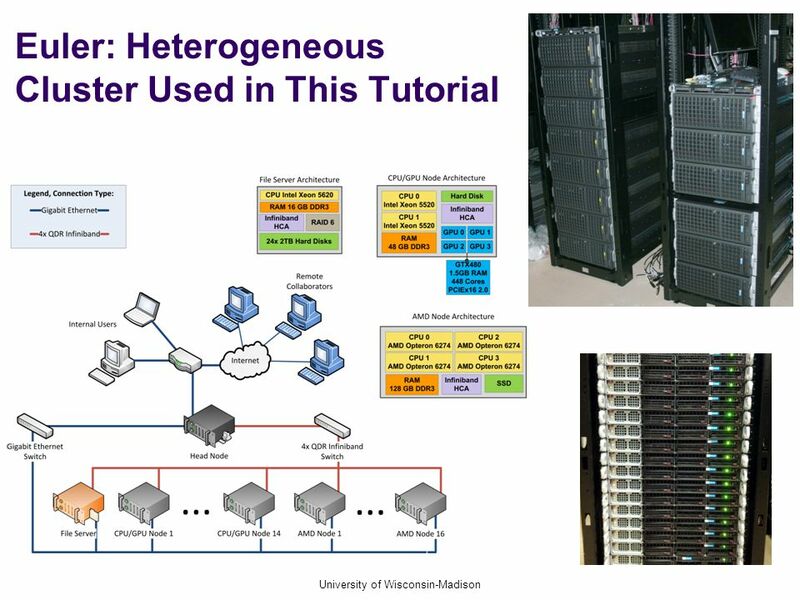 Madison’s own GPU cluster and collaborators’ campuses’ GPU systems helped, but it wasn’t enough. Then Merino had a talk with XSEDE ECSS expert Sergiu Sanielevici from the Pittsburgh Supercomputing Center (PSC), lead of XSEDE’s Novel and Innovative Projects. Sanielevici filled him in on the large GPU capability of XSEDE supercomputing systems. 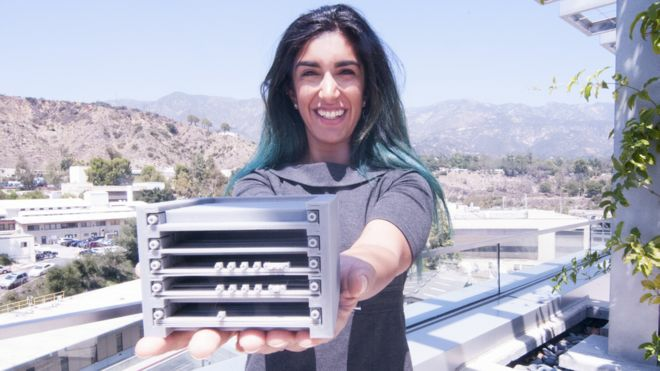 The IceCube team wound up using a number of XSEDE machines for GPU and CPU computations: Bridges at PSC, Comet at the San Diego Supercomputer Center (SDSC), XStream at Stanford University and the collection of clusters available through the Open Science Grid Consortium. The IceCube scientists could not assume that their computer code would run well in the XSEDE system. Their massive and complex flow of calculations could have slowed down considerably had the new machines conflicted with it. ECSS expertise was critical to making the join-up smooth. Their detector built and simulated, the IceCube scientists had to wait for it to detect a cosmic neutrino. On Sept. 22, 2017, it happened. An automated system tuned to the signature of a cosmic-ray neutrino sent a message to the members of the IceCube Collaboration, an international team with more than 300 scientists in 12 countries. This was important. A single neutrino detection would not have been proof by itself. Scientists at observatories that detect other types of radiation expected from cosmic rays needed to look at the same spot in the sky. Blazars are a type of active galaxy with one of its jets pointing toward us. It emits both neutrinos and gamma rays that could be detected by the IceCube Neutrino Observatory as well as by other telescopes on Earth and in space. Courtesy IceCube/NASA. They found multiple types of radiation coming from the same spot in the sky as the neutrino. At this spot was a “blazar” called TXS 0506+056, about 4 billion light years from Earth. A type of active galactic nucleus (AGN), a blazar is a huge black hole sitting in the center of a distant galaxy, flaring as it eats the galaxy’s matter. Blazars are AGNs that happen to be pointed straight at us. The scientists think that the vast forces surrounding the black hole are likely the catapult that shot cosmic-ray particles on their way toward Earth. After a journey of 4 billion years across the vastness of space, one of the neutrinos created by those particles blazed a path through IceCube’s detector. The IceCube scientists went back over nine and a half years of detector data, before they’d set up their automated warning. They found several earlier detections from TXS 0506+056, greatly raising their confidence. The findings led to papers in the prestigious journal Science and Science in July 2018. Future work will focus on confirming that blazars are the source—or at least a major source—of the high-energy particles that fill the Universe. As the name implies, supercomputers are pretty special machines. Researchers from every field seek out their high-performance capabilities, but time spent using such a device is expensive. As recently as 2015, it took the same amount of energy to run Tianhe-2, the world’s second-fastest supercomputer [now #4], for a year as it did to power a 13,501 person town in Mississippi. And that’s not to mention the initial costs associated with purchase, as well as salaries for staff to help run and support the machine. Supercomputers are kept incredibly busy by their users, often oversubscribed, with thousands of jobs in the queue waiting for others to finish. With computing time so valuable, managers of supercomputing centers are always looking for ways to improve performance and speed throughput for users. This is where Tom Furlani and his team at the University at Buffalo’s Center for Computational Research, come in. Thanks to a grant from the National Science Foundation (NSF) in 2010, Furlani and his colleagues have developed the XD Metrics on Demand (XDMoD) tool, to help organizations improve production on their supercomputers and better understand how they are being used to enable science and engineering. “XDMoD is an incredibly useful tool that allows us not only to monitor and report on the resources we allocate, but also provides new insight into the behaviors of our researcher community,” says John Towns, PI and Project Director for the Extreme Science and Engineering Discovery Environment (XSEDE). Modern supercomputers are complex combinations of compute servers, high speed networks, and high performance storage systems. Each of these areas is a potential point of under performance or even outright failure. Add system software and the complexity only increases. 1. Job accounting – XDMoD provides metrics about utilization, including who is using the system and how much, what types of jobs are running, plus length of wait times, and more. 2. 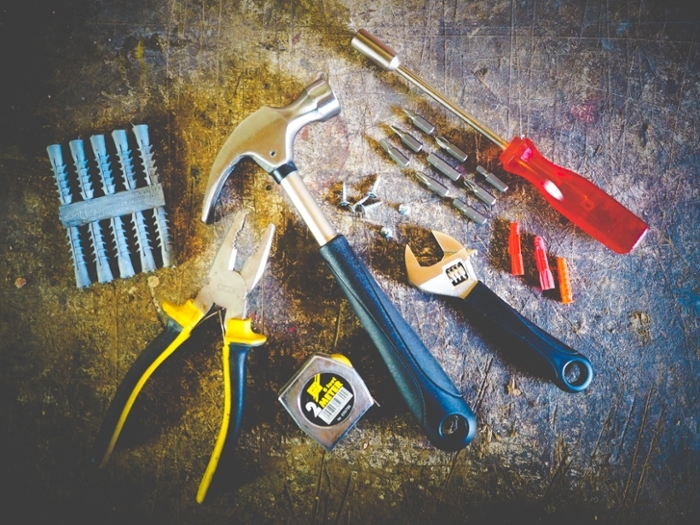 Quality of service – The complex mechanisms behind HPC often mean that managers and support personnel don’t always know if everything is working correctly—or they lack the means to ensure that it is. All too often this results in users serving as “canaries in the coal mine” who identify and alert admins only after they’ve discovered an issue. To solve this, XDMoD launches application kernels daily that provide baseline performances for the cluster in question. If these kernels show that something that should take 30 seconds is now taking 120, support personnel know they need to investigate. XDMoD’s monitoring of the Meltdown and Spectre patches is a perfect example—the application kernels allowed system personnel to quantify the effects of the patches put in place to mitigate the chip vulnerabilities. 3. Job-level performance – Much like job accounting, job-level performance zeroes in on usage metrics. However, this task focuses more on how well users’ codes are performing. XDMoD can measure the performance of every single job, helping users to improve the efficiency of their job or even figure out why it failed. Furlani also expects that XDMoD will soon include a module to help quantify the return on investment (ROI) for these expensive systems, by tying external funding of the supercomputer’s users to their external research funding. Thanks to its open-source code, XDMoD’s reach extends to commercial, governmental, and academic supercomputing centers worldwide, including England, Spain, Belgium, Germany, and many others. In 2015, the NSF awarded the University at Buffalo a follow-on grant to continue work on XDMoD. Among other improvements, the project will include cloud computing metrics. Cloud use is growing all the time, and jobs performed there are much different in terms of metrics. Who’s that user? XDMoD’s customizable reports help organizations better understand how their computing resources are being used to enable science and engineering. 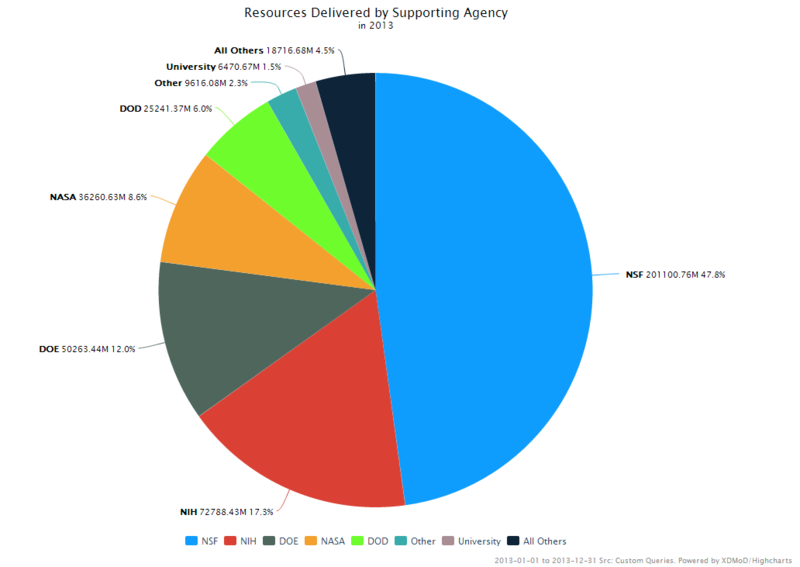 This graph depicts the allocation of resources delivered by supporting funding agency. Courtesy University at Buffalo. For the average HPC job, Furlani explains that the process starts with a researcher requesting resources, such as how many processors and how much memory they need. But in the cloud, a virtual machine may stop running and then start again. What’s more, a cloud-based supercomputer can increase and decrease cores and memory. This makes tracking performance more challenging. Regardless of where XDMoD goes next, tools like this will continue to shape and redefine what supercomputers can accomplish. No. 1 in the world. 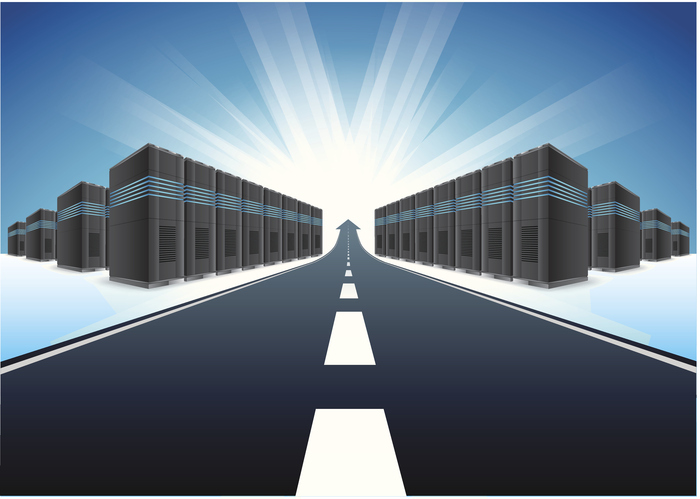 US Department of Energy recommits to the exascale race. The US was once a leader in supercomputing, having created the first high-performance computer (HPC) in 1964. But as of November 2017, TOP500 ranked Titan, the fastest American-made supercomputer, only fifth on its list of the most powerful machines in the world. In contrast, China holds the first and second spots by a whopping margin. But it now looks like the US Department of Energy (DoE) is ready to commit to taking back those top spots. In a CNN opinion article, Secretary of Energy Rick Perry proclaims that “the future is in supercomputers,” and we at Science Node couldn’t agree more. To get a better understanding of the DoE’s plans, we sat down for a chat with Under Secretary for Science Paul Dabbar. Why is it important for the federal government to support HPC rather than leaving it to the private sector? A significant amount of the Office of Science and the rest of the DoE has had and will continue to have supercomputing needs. The Office of Science produces tremendous amounts of data like at Argonne, and all of our national labs produce data of increasing volume. Supercomputing is also needed in our National Nuclear Security Administration (NNSA) mission, which fulfills very important modeling needs for Department of Defense (DoD) applications. But to Secretary Perry’s point, we’re increasingly seeing a number of private sector organizations building their own supercomputers based on what we had developed and built a few generations ago that are now used for a broad range of commercial purposes. At the end of the day, we know that a secondary benefit of this push is that we’re providing the impetus for innovation within supercomputing. We assist the broader American economy by helping to support science and technology innovation within supercomputing. How are supercomputers used for national security? The NNSA arm, which is one of the three major arms of the three Under Secretaries here at the department, is our primary area of support for the nation’s defense. And as various testing treaties came into play over time, having the computing capacity to conduct proper testing and security of our stockpiled weapons was key. And that’s why if you look at our three exascale computers that we’re in the process of executing, two of them are on behalf of the Office of Science and one of them is on behalf of the NNSA. One of these three supercomputers is the Aurora exascale machine currently being built at Argonne National Laboratory, which Secretary Perry believes will be finished in 2021. Where did this timeline come from, and why Argonne? There was a group put together across different areas of DoE, primarily the Office of Science and NNSA. When we decided to execute on building the next wave of top global supercomputers, an internal consortium named the Collaboration of Oak Ridge, Argonne, and Livermore (CORAL) was formed. That consortium developed exactly how to fund the technologies, how to issue requests, and what the target capabilities for the machines should be. The 2021 timeline was based on the CORAL group, the labs, and the consortium in conjunction with the Department of Energy headquarters here, the Office of Advanced Computing, and ultimately talking with the suppliers. The reason Argonne was selected for the first machine was that they already have a leadership computing facility there. They have a long history of other machines of previous generations, and they were already in the process of building out an exascale machine. So they were already looking at architecture issues, talking with Intel and others on what could be accomplished, and taking a look at how they can build on what they already had in terms of their capabilities and physical plant and user facilities. Why now? What’s motivating the push for HPC excellence at this precise moment? A lot of this is driven by where the technology is and where the capabilities are for suppliers and the broader HPC market. 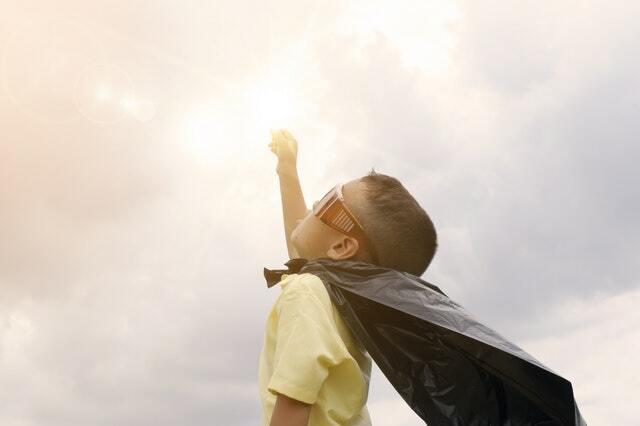 We’re part of a constant dialogue with the Nvidias, Intels, IBMs, and Crays of the world in what we think is possible in terms of the next step in supercomputing. Why now? The technology is available now, and the need is there for us considering the large user facilities coming online across the whole of the national lab complex and the need for stronger computing power. The history of science, going back to the late 1800s and early 1900s, was about competition along strings of types of research, whether it was chemistry or physics. If you take any of the areas of science, including high-performance computing, anything that’s being done by anyone out there along any of these strings causes us all to move us along. However, we at the DoE believe America must and should be in the lead of scientific advances across all different areas, and certainly in the area of computing. You’ve come a long way, baby. 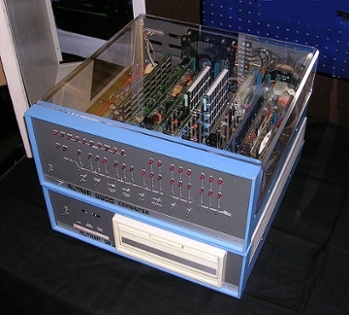 The first personal computer, the Altair 8800, was sold in 1974 as a mail-order kit that users had to assemble themselves. Theoretically, the Sunway TaihuLight is capable of reaching 125,436 teraFLOPS of performance—more than 125 thousand times faster than the Intel Core i9 Extreme Edition processor. And it ‘only’ cost around ¥1.8 billion ($270 million), compared to the Intel chip’s price tag of $1,999. Even a smaller supercomputer, such as the San Diego Supercomputer Center’s Comet, has 247 terabytes of memory—nearly 4000 times that of a well-equipped laptop. The truth is, many supercomputers are shared resources, processing data and solving equations for multiple teams of researchers at the same time. It’s rare for a scientist to use a supercomputer’s entire capacity just for one project. Early symptoms. Children with ASD may avoid eye contact, have delayed speech, and fail to demonstrate interest. Courtesy Unsplash. 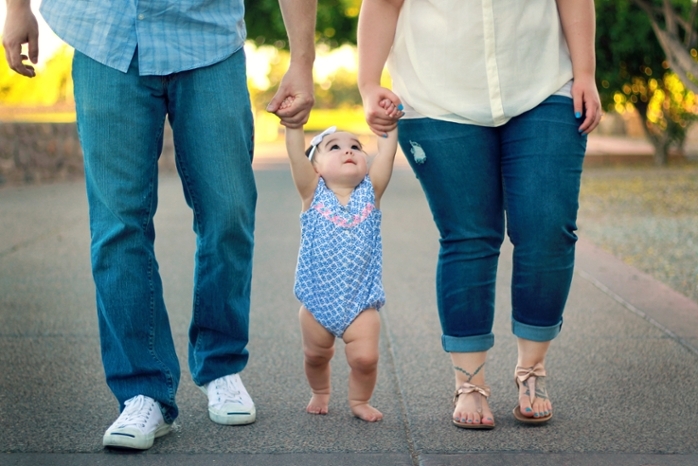 In a new study [Science], an international team led by scientists at University of California San Diego (UCSD) School of Medicine have identified a culprit that may explain some of the remaining risk: rare inherited variants in regions of non-coding DNA. DNA sequences were analyzed with the Comet supercomputer at the San Diego Supercomputer Center (SDSC). 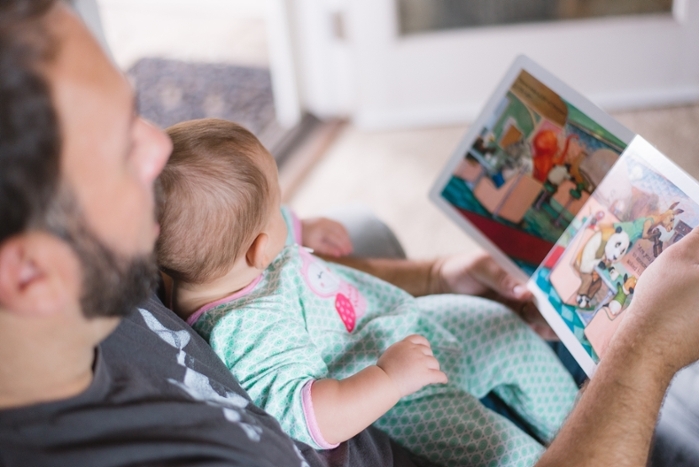 These data were then combined with other large studies from the Simons Simplex Collection and the Autism Speaks MSSNG Whole Genome Sequencing Project. As a little girl growing up in Turkey, Burçin Mutlu-Pakdil loved the stars. 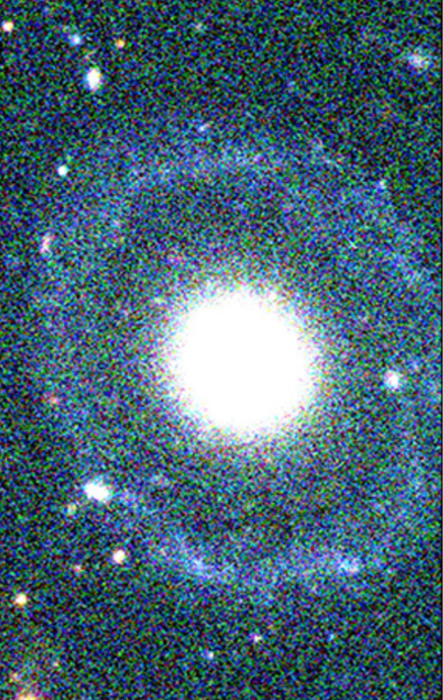 Burçin’s galaxy, AKA PGC 1000714, is a unique, double-ringed, Hoag-type galaxy exhibiting features never observed before. Courtesy North Carolina Museum of Natural Sciences. Young or old? The object’s blue outer rings suggests it may have formed more recently than the center. 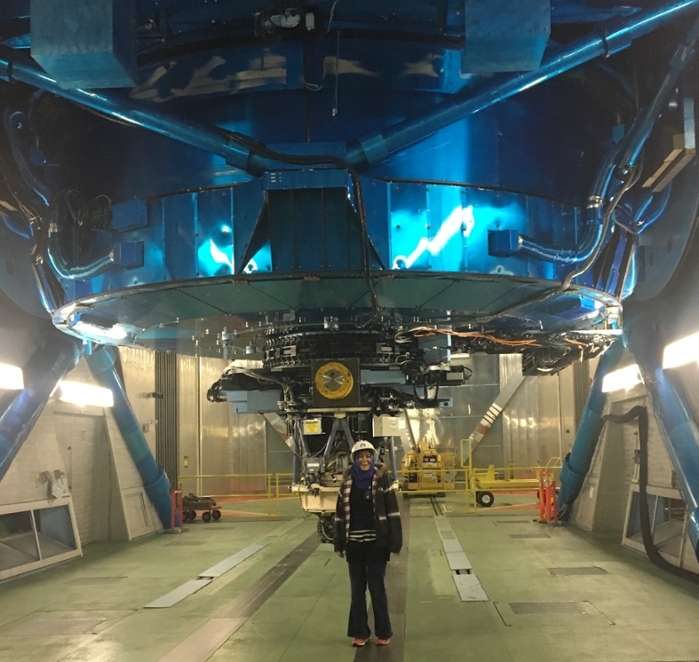 Her job is at The University of Arizona’s Steward Observatory, one of the world’s premier astronomy facilities, where she works as a postdoctoral astrophysics research associate. 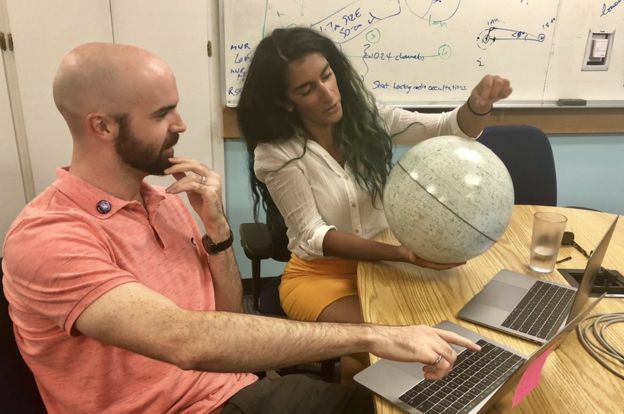 Just a few years ago, while earning her Ph.D. at the University of Minnesota, Mutlu-Pakdil and her colleagues discovered PGC 1000174, a galaxy with qualities so rare they’ve never been observed anywhere else. For now, it’s known as Burçin’s Galaxy. The object was originally detected by Patrick Treuthardt, who was observing a different galaxy when he spotted it in the background. It piqued the astronomers’ attention because of an initial resemblance to Hoag’s Object. This rare galaxy is known for its yellow-orange center surrounded by a detached outer ring. Through extensive imaging and analysis, Mutlu-Pakdil found that, unlike Hoag’s Object, this new galaxy has two rings with no visible materials attaching them, a phenomenon not seen before. It offered the first-ever observation and description of a double-ringed elliptical galaxy. Eye on the universe. Sophisticated instruments like the 8.2 meter optical-infrared Subaru Telescope on the summit of Mauna Kea in Hawaii allow astronomers to peer ever further into the stars–and into the origins of the universe. 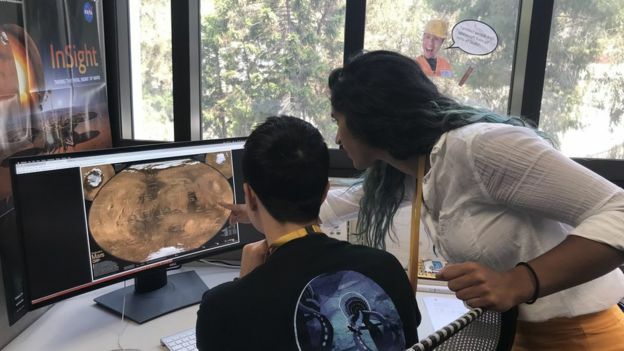 Since spotting the intriguing galaxy, Mutlu-Pakdil and her team have evaluated it in several ways. They initially observed it via the Irénéé du Pont two-meter telescope at the Las Campanas observatory in Chile. And they recently captured infrared images with the Magellan 6.5-meter telescope also at Las Campanas. The optical images reveal that the components of Burçin’s Galaxy have different histories. Some parts of the galaxy are significantly older than others. The blue outer ring suggests a newer formation, while the red inner ring indicates the presence of older stars. Mutlu-Pakdil and her colleagues suspect that this galaxy was formed as some material accumulated into one massive object through gravitational attraction, AKA an accretion event. However, beyond that, PGC1000174’s unique qualities largely remain a mystery. There are about three trillion galaxies in our observable universe and more are being found all the time. In a way, Mutlu-Pakdil has been challenging the norms of science all her life. 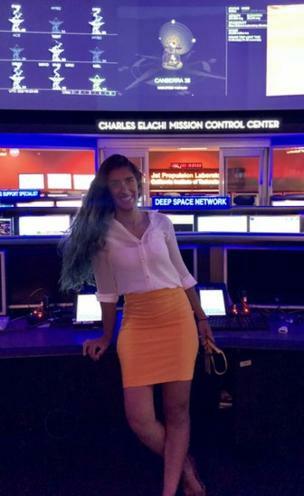 Though her parents weren’t educated beyond elementary school, they supported her desire to pursue her dreams of the stars. “When I was in college, I was the only female in my class, and I remember I felt so much like an outsider. I felt like I wasn’t fitting in,” she recalls of her time studying physics at Bilkent University in Ankara, Turkey. Astronomical ambassador. 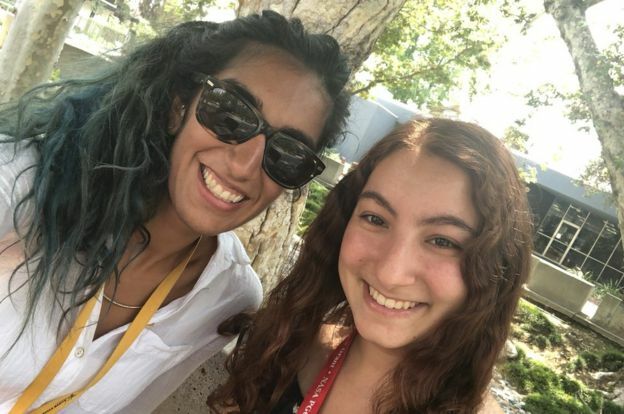 Mutlu-Pakdil believes in sharing her fascination for space and works to encourage students from all backgrounds to explore astronomy and other STEM fields. Throughout her education and career, Mutlu-Pakdil has experienced being a minority in an otherwise male-dominated field. It hasn’t slowed her down, but it has made her more passionate about promoting diversity in science and being a mentor to young people. 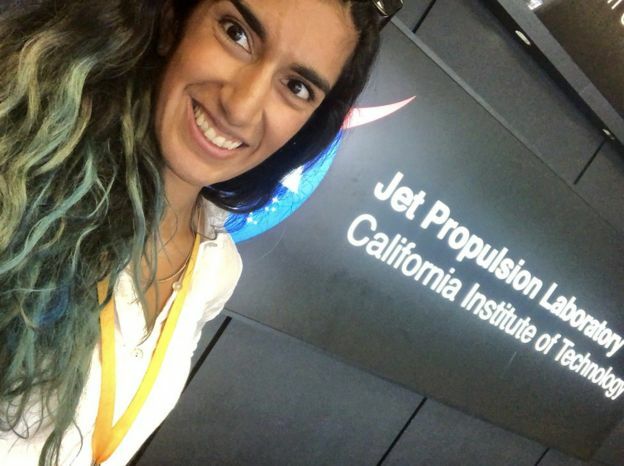 That’s why she serves as an ambassador for the American Astronomical Society and volunteers to mentor children in low-income neighborhoods to encourage them to pursue college and, hopefully, a career in STEM. She was also recently selected to be a 2018 TED Fellow and will present a TED talk about her discoveries and career on April 10. 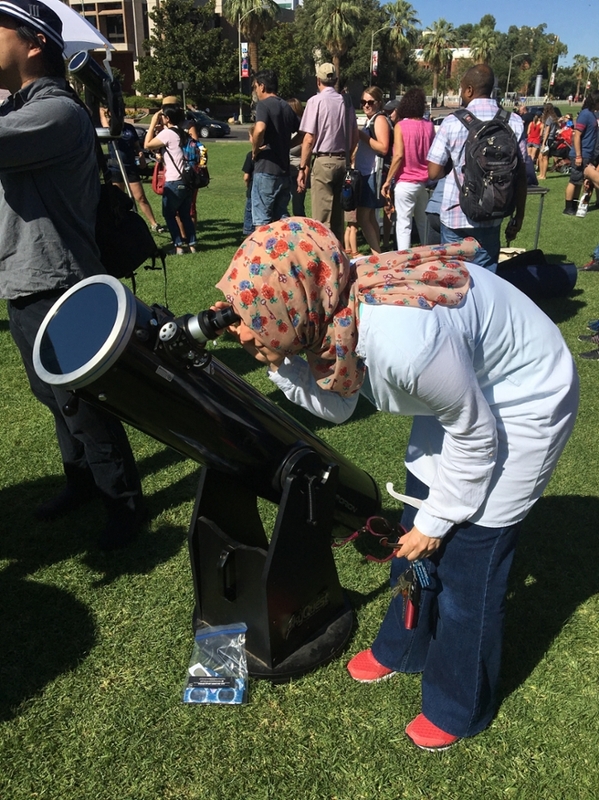 Through her work, Mutlu-Pakdil hopes to show people how important it is to learn about our universe. 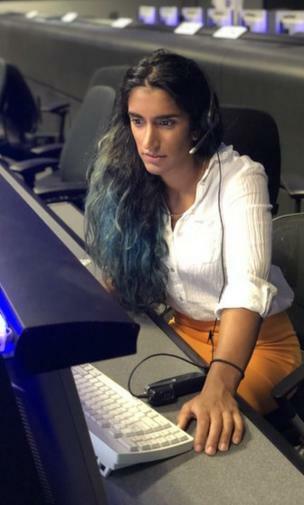 It behooves us all to take an interest in the night sky and the groundbreaking discoveries being made by astronomers like her around the world. “Researchers at the European Organization for Nuclear Research (CERN) are probing the fundamental structure of the universe. They use the world’s largest and most complex scientific machines to study the basic constituents of matter — the fundamental particles. These particles are made to collide at close to the speed of light. This process gives physicists clues about how the particles interact, and provides insights into the laws of nature. CERN is home to the Large Hadron Collider (LHC), the world’s most powerful particle accelerator. It consists of a 27km ring of superconducting magnets, combined with accelerating structures to boost the energy of the particles prior to the collisions. Special detectors — similar to large, 3D digital cameras built in cathedral-sized caverns —observe and record the results of these collisions. Up to about 1 billion particle collisions can take place every second inside the LHC experiments’ detectors. It is not possible to examine all of these events. Hardware and software filtering systems are used to select potentially interesting events for further analysis. Even after filtering, the CERN data center processes hundreds of petabytes (PB) of data every year. Around 150 PB are stored on disk at the site in Switzerland, with over 200 PB on tape — the equivalent of about 2,000 years of HD video. Physicists must sift through the 30-50 PB of data produced annually by the LHC experiments to determine if the collisions have revealed any interesting physics. The Worldwide LHC Computing Grid (WLCG), a distributed computing infrastructure arranged in tiers, gives a community of thousands of physicists near-real-time access to LHC data. Power up. The planned upgrades to the Large Hadron Collider. Image courtesy CERN. With 170 computing centers in 42 countries, the WLCG is the most sophisticated data-taking and analysis system ever built for science. It runs more than two million jobs per day. The LHC has been designed to follow a carefully planned program of upgrades. The LHC typically produces particle collisions for a period of around three years (known as a ‘run’), followed by a period of about two years for upgrade and maintenance work (known as a ‘long shutdown’). The High-Luminosity Large Hadron Collider (HL-LHC), scheduled to come online around 2026, will crank up the performance of the LHC and increase the potential for discoveries. The higher the luminosity, the more collisions, and the more data the experiments can gather. An increased rate of collision events means that digital reconstruction becomes significantly more complex. At the same time, the LHC experiments plan to employ new, more flexible filtering systems that will collect a greater number of events. This will drive a huge increase in computing needs. Using current software, hardware, and analysis techniques, the estimated computing capacity required would be around 50-100 times higher than today. Data storage needs are expected to be in the order of exabytes by this time. Technology advances over the next seven to ten years will likely yield an improvement of approximately a factor ten in both the amount of processing and storage available at the same cost, but will still leave a significant resource gap. Innovation is therefore vital; we are exploring new technologies and methodologies together with the world’s leading information and communications technology (ICT) companies. CERN openlab works to develop and test the new ICT techniques that help to make groundbreaking physics discoveries possible. Established in 2001, the unique public-private partnership provides a framework through which CERN collaborates with leading companies to accelerate the development of cutting-edge technologies. My colleagues and I have been busy working to identify the key challenges that will face the LHC research community in the coming years. Last year, we carried out an in-depth consultation process, involving workshops and discussions with representatives of the LHC experiments, the CERN IT department, our collaborators from industry, and other ‘big science’ projects. Based on our findings, we published the CERN openlab white paper on future ICT challenges in scientific research. We identified 16 ICT challenge areas, grouped into major R&D topics that are ripe for tackling together with industry collaborators. In data-center technologies, we need to ensure that data-center architectures are flexible and cost effective and that cloud computing resources can be used in a scalable, hybrid manner. New technologies for solving storage capacity issues must be thoroughly investigated, and long-term data-storage systems should be reliable and economically viable. We also need modernized code to ensure that maximum performance can be achieved on the new hardware platforms. Sucessfully translating the huge potential of machine learning into concrete solutions will play a role in monitoring the accelerator chain, optimizing the use of IT resources, and even hunting for new physics. Several IT challenges are common across research disciplines. With ever more research fields adopting methodologies driven by big data, it’s vital that we collaborate with research communities such as astrophysics, biomedicine, and Earth sciences. As well as sharing tools and learning from one another’s experience, working together to address common challenges can increase our ability to ensure that leading ICT companies are producing solutions that meet our common needs. Peak performance within supercomputing is a constantly moving target. In fact, a supercomputer is defined as being any machine “that performs at or near the currently highest operational rate.” The field is a continual battle to be the best. Those who achieve the top rank may only hang on to it for a fleeting moment. Competition is what makes supercomputing so exciting, continually driving engineers to reach heights that were unimaginable only a few years ago. To celebrate this amazing technology, let’s take a look at the fastest computers as defined by computer ranking project TOP500 — and at what these machines are used for. Built by Cray, Oak Ridge National Laboratory’s Titan is the follow-up to the company’s 2005 Jaguar supercomputer. Like Jaguar, Titan is unique due to its reliance on both CPUs and GPUs. According to Cray, GPUs can handle more calculations at a time than CPUs, which allow the GPUs to do “the heavy lifting”. Cray hopes to get Titan’s performance up to 20 petaFLOPS, but TOP 500 clocked the machine at 17.59 petaFLOPS in November 2017. For reference, 17.59 petaFLOPS is equal to 17,590 trillion calculations per second. The machine also has 299,008 CPU cores and 261,632 GPU cores. What’s more, this machine’s power is being put to good use. The S3D project focuses on modeling the physics behind combustion, which might give researchers the ability to create biofuel surrogates for gasoline. Another project called Denovo is working to find ways to increase efficiency within nuclear reactors. And a team at Brown University is using the supercomputer to model sickle cell disease, hoping to devise better treatments for a disease that affects around 100,000 Americans. Although Titan nearly finished last year as the 4th fastest computer in the world, Japan’s Gyoukou stole the spot in November. Created by ExaScaler and PEZY Computing, this machine is currently housed at the Japan Agency for Marine-Earth Science and Technology. The machine reportedly has 19,860,000 cores and runs at speeds of up to 19.14 petaFLOPS. Gyoukou is an extremely new system, presented to the public for the first time at SC17 in November. This, combined with the fact that PEZY’s president was arrested for fraud on December 4, 2017, means that the machine hasn’t had much time to prove its usefulness with real world projects. However, Gyoukou is incredibly energy efficient, with a power efficiency of 14.17 gigaFLOPS per watt. Named after a mountain in the Swiss Alps, Piz Daint is the Swiss National Supercomputer Centre’s contribution to the field, running at 19.59 petaFLOPS and utilizing 361,760 cores. The machine has helped scientists at the University of Basel make discoveries about “memory molecules” in the brain. Other Swiss scientists have taken advantage of its ultra-high resolutions to set up a near-global climate simulation. If supercomputing were a foot race, China would be a dot on the horizon compared to the rest of the competitors. Years of hard work and research enabled the country to grab the top two spots, with Tianhe-2 coming in second. The name translates as “MilkyWay-2,” and it’s much more powerful than Piz Daint, boasting a whopping 3,120,000 cores and running at 33.86 petaFLOPS. Developed by the National University of Defense Technology (NUDT) in China, TOP500 reported that the machine is intended mainly for government security applications. This means that much of the work done by Tianhe-2 is kept secret, but if its processing power is anything to judge by, it must be working on some pretty important projects. When it comes to supercomputing, no other machine can touch the Sunway TaihuLight. Its processing power exceeds 93.01 petaFLOPS and it relies on 10,649,000 cores, making it the strongest supercomputer in the world by a wide margin. 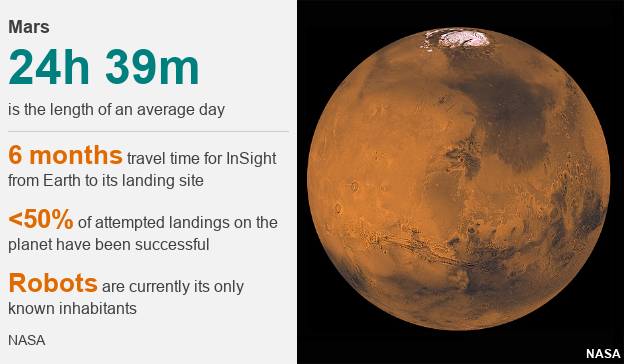 That’s more than five times the processing power of Titan and nearly 19 times more cores. 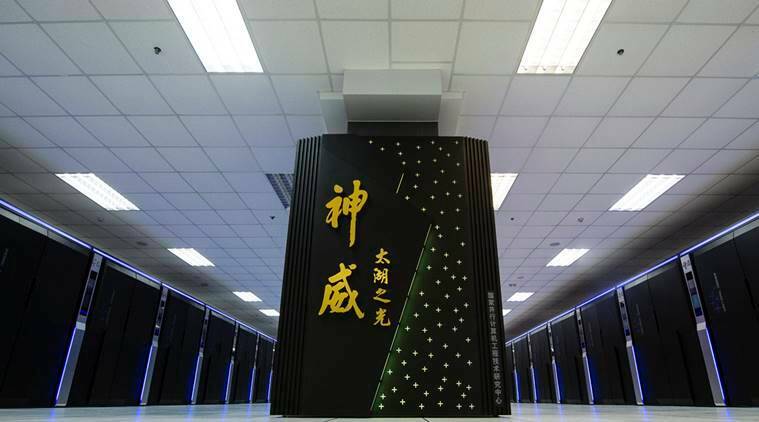 Located at the National Supercomputing Center in Wuxi, China, TaihuLight’s creators are using the supercomputer for tasks ranging from climate science to advanced manufacturing. It has also found success in marine forecasting, helping ships avoid rough seas while also helping with offshore oil drilling. The race to possess the most powerful supercomputer never really ends. This friendly competition between countries has propelled a boom in processing power, and it doesn’t look like it’ll be slowing down anytime soon. With scientists using supercomputers for important projects such as curing debilitating diseases, we can only hope it will continue for years to come. Nucleons — protons and neutrons — are the principal constituents of the atomic nuclei. Those particles in turn are made up of yet smaller elementary particles: Their constituent quarks and gluons. Each nucleon has its own intrinsic angular momentum, or spin. Knowing the spin of elementary particles is important for understanding physical and chemical processes. University of Cyprus researchers may have solved the proton spin puzzle – with a little help from the Piz Daint supercomputer. Spin is responsible for a material’s fundamental properties, such as phase changes in non-conducting materials that suddenly turn them into superconductors at very low temperatures. Inside job. Artist’s impression of what the proton is made of. The quarks and gluons contribute to give exactly half the spin of the proton. The question of how is it done and how much each contributes has been a puzzle since 1987. Courtesy Brookhaven National Laboratory. Theoretical models originally assumed that the spin of the nucleon came only from its constituent quarks. But then in 1987, high-energy physics experiments conducted by the European Muon Collaboration precipitated what came to be known as the ‘proton spin crisis’: experiments performed at European Organization for Nuclear Research (CERN), Deutsches Elektronen-Synchrotron (DESY) and Stanford Linear Accelerator Center (SLAC) showed that quarks contribute only 30 percent of the proton spin. Since then, it has been unclear what other effects are contributing to the spin, and to what extent. Furhter high-energy physics studies suggested that quark-antiquark pairs, with their short-lived intermediate states might be in play here – in other words, purely relativistic quantum effects. Thirty years later, these mysterious effects have finally been accounted for in the calculations performed on CSCS supercomputer Piz Daint by a research group led by Constantia Alexandrou of the Computation-based Science and Technology Research Center of the Cyprus Institute and the Physics Department of the University of Cyprus in Nicosia. That group also included researchers from DESY-Zeuthen, Germany, and from the University of Utah and Temple University in the US. For the first time, researchers could calculate the quantitative contributions from constituent quarks, gluons, and sea quarks –– to nucleon spin. 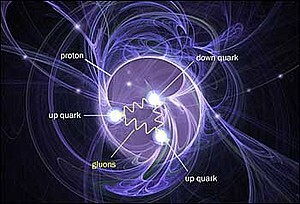 (Sea quarks are a short-lived intermediate state of quark-antiquark pairs inside the nucleon). With their calculations, the group made a crucial step towards solving the puzzle that brought on the proton spin crisis. To calculate the spin of the different particles in their simulations, the researchers consider the true physical mass of the quarks. “This is a numerically challenging task, but of essential importance for making sure that the values of the used parameters in the simulations correspond to reality,” says Karl Jansen, lead scientist at DESY-Zeuthen and project co-author. The strong [interaction] acting here, which is transmitted by the gluons, is one of the four fundamental forces of physics. The strong [interaction] is indeed strong enough to prevent the removal of a quark from a proton. This property, known as confinement, results in huge binding energy that ultimately holds together the nucleon constituents. The researchers used the mass of the pion, a so-called meson, consisting of one up and one down antiquark –the ‘light quarks’ – to fix the mass of the up and down quarks to the physical quark mass entering in the simulations. If the mass of the pion calculated from the simulation corresponds with the experimentally determined value, then the researchers consider that the simulation is done with the actual physical values for the quark mass. And that is exactly what Alexandrou and her team have achieved in their recently published research, Physical Review Letters. Their simulations also took into account the valence quarks (constituent quarks), sea quarks, and gluons. The researchers used the lattice theory of quantum chromodynamics (lattice QCD) to calculate this sea of particles and their QCD interactions [ETH Zürich]. Spin cycle. 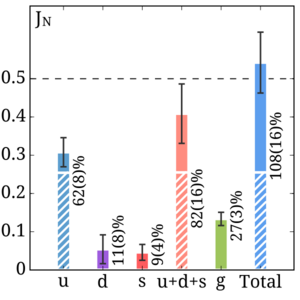 Composition of the proton spin among the constituent quarks (blue and purple columns with the lines), sea quarks (blue, purple, and red solid columns) and gluons (green column). The errors are shown by the bars. Courtesy Constantia Alexandrou. In other words, they had to convert the dimensionless values determined by the simulations into a physical value that can be measured experimentally – such as the spin carried by the constituent and sea quarks and the gluons that the researchers were seeking. Alexandrou’s team is the first to have achieved this computation including gluons, whereby they had to calculate millions of the ‘propagators’ describing how quarks move between two points in space-time. “Making powerful supercomputers like Piz Daint open and available across Europe is extremely important for European science,” notes Jansen. “Simulations as elaborate as this were possible only thanks to the power of Piz Daint,” adds Alexandrou.